When you are opening a new bar or restaurant, you have a lot to think about. For most owners, being very well organized isn’t near the top of their to-do list. This is a huge mistake. 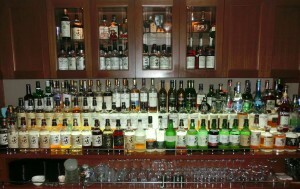 Every aspect of your bar will run more smoothly when you are highly organized. Not only will this make your operations more efficient, but it’ll make you more money in the long run. Being organized isn’t just about how you arrange liquor bottles behind the bar, how you optimize your POS system, or your attention to detail when you create the layout of your restaurant. It applies to every aspect of your business, and it starts when shipments come through the door. Fortunately, a poorly organized bar and sloppy delivery receiving practices are easy problems to correct, and they’re even easier to issues to avoid if you get these processes right from day 1. The following tips will help you make sure that you’re properly organized from the moment your new bar opens for business. At Bar-i, we often see haphazard delivery receiving practices when we start to work with new clients. This is problematic since you need to be able to confirm line by line precisely what was delivered to your bar in every shipment. 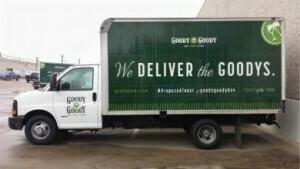 When you don’t have a well-defined system for handling deliveries, you create a situation where distributors are likely to put new product shipments with existing products. This makes it very difficult to confirm exactly what was delivered. Ultimately, this will cost you a lot of money. Billing errors occur frequently, and they’re never in your favor. This last point is extremely important. It’s common to receive new products for free with your order because the liquor rep is trying to push this new product. Eventually, you may start getting charged for this previously free product along with your regular order. You need to refuse these products the very first time you see that you’re being charged for them. If you don’t stay on top of this, you’ll end up with a room full of experimental products like raspberry whiskey that no one will ever want to drink. Staying organized with your delivery receiving will also help you to negotiate for better free products. Some companies will give you a free bottle with your order (Jamieson often does this). However, sometimes you may receive a weird new flavor that they’re trying out (we’re looking at you, raspberry whiskey) as the free bottle. Tell them that you prefer to receive the standard bottle instead of an experimental flavor as your freebie. Sometimes the liquor company will accommodate this request regarding free products, and sometimes you may get stuck with the weird bottle that no one will ever drink. But unless you diligently manage this process, you’ll never get the free items you want. And a free bottle of regular Jamieson can be sold at regular price for 100% profit. In general, most bars aren’t very well organized. In most instances, there’s a simple reason for this – no one has taken the time to organize it. But as with sound delivery receiving practices, being well organized is crucial to the success of your bar. Fortunately, there’s an easy way to avoid this problem. Make sure someone on your staff is responsible for keeping your bar organized. Ideally, you want to choose an employee who has strong organizational skills. While this may limit your choices, there should be someone at your bar who is organized in their daily life, and you only need one person for this job. Place like products with like products – whiskeys go with other whiskeys, tequilas with other tequilas, etc. Menu construction can impact the organization of your bar as well. Seasonal menu changes will make it much easier to keep your bar organized than if you change your products every few weeks. Seasonal menu changes will also provide many other benefits such as giving you better leverage with your distributors, which should help improve your profitability. To take advantage of a free consultation where we help you with the organization of your bar or to find out how our liquor inventory system can help you streamline your processes and maximize profits, please contact Bar-I today. We serve bars nationwide from our offices in Denver, Colorado.